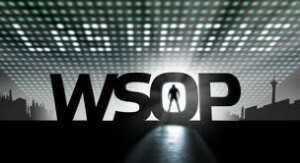 The 2011 World Series of Poker is definitely not feeling any aftereffects from Black Friday, considering the field sizes have not just been good thus far; they have been sensational! The $500 Casino Employee tournament saw a huge increase over last year’s field; the $25k Heads-Up Championship drew 128 players bestowing on it the honor of being the largest prize-pool ever for a Heads-Up tournament; and event #3, a $1,500 Omaha 8 tournament, produced the largest turnout in the history of the event. A total of 925 players registered for the event –besting last year’s mark by more than 100 entrants and narrowly beating the 2009 record of 918. Amongst the entrants were a slew of poker’s biggest names looking to win an early bracelet like Daniel Negreanu, Erik Seidel, Phil Hellmuth, and Tom Dwan. After a long day of action just 210 players had chips to bag at the end of the night with Canadian Guilaumme Rivet leading the way with 71,200 chips. This entry was posted on Thursday, June 2nd, 2011 at 10:02 am and is filed under Poker News. You can follow any responses to this entry through the RSS 2.0 feed. You can leave a response, or trackback from your own site.